SEK Solutions provides professional services all centered around designing, installing, and maintaining your weapon storage, industrial storage, or material handling projects. Our team can create standard or 3D drawings to help streamline the project approval processes in your organization. 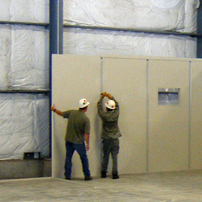 Our experienced team of installers will quickly and expertly prepare your facility or armory, including managing the setup or reconfiguration of any utility services. They will schedule the equipment installation around your unique requirements and ensure complete satisfaction with the end results. We can also offer asset tracking solutions that can help keep your gear or weapons organized once integrated within the storage systems.